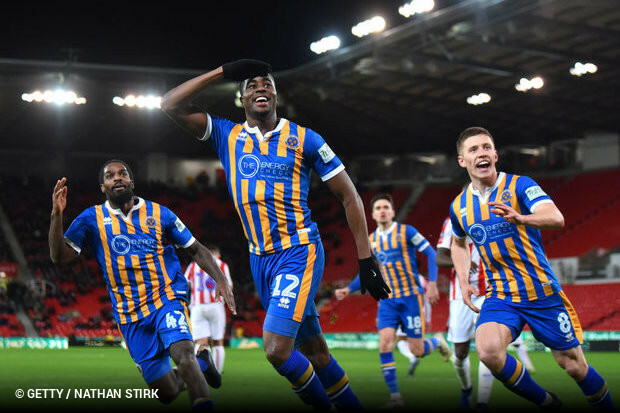 Shrewsbury Town staged the unlikeliest of dramatic fightbacks to dump Stoke City out of the FA Cup (2x3). Tyrese Campbell's double put Stoke in command but Sam Ricketts' side scored three times in 10 second-half minutes at the Britannia Stadium. James Bolton's 20-yard effort, Fejiri Okenabirhie's penalty and Josh Laurent's 81st-minute strike completed the turnaround. Next up for Shrewsbury is an intriguing home clash with Wolves as manager Sam Ricketts and his triumphant team look to spring another cup shock.